Choosing the right insurance coverage can feel like a tightrope act. You want something that's both affordable and will protect you in case of an accident. It's tricky to strike the perfect balance, and, all too often, drivers end up underinsured just to save a few bucks. Without the right coverage, a car accident can leave you paying the bill, even if it wasn't your fault. We know that every driver's situation is different, but we've come up with some recommendations for basic coverage that all drivers should have on their policy. If you've been hurt in a car accident, contact our legal professionals at 1-866-943-3427 or fill out our free online legal consultation in the top right corner. We'll review your case for free, answer your legal questions, and fight to recover the compensation you deserve. One of the first choices you'll make when deciding on your car insurance policy will be choosing Full Tort or Limited Tort. This will determine whether you're able to sue for pain and suffering – Full Tort – or not sue for pain and suffering – Limited Tort. Bodily Injury Liability – This protects you if a person files a claim against you after you're found responsible for the accident that injured them. Property Damage Liability – This pays for any damage done to another person's property when you are found at fault for the accident. Medical Expense Benefits – This pays for the medical bills of you and anyone else covered through your insurance policy. Uninsured and Underinsured Motorist (UM/UIM) coverage is optional but strongly recommended for your policy. It protects you against drivers without insurance or with limited coverage that won't pay all your expenses. It's important to know that UM/UIM coverage protects you and your loved ones – not the other driver. Insurance companies can make it hard to understand what exactly this coverage does for you, hoping you'll waive it for a lower monthly premium. Without Uninsured and Underinsured Motorist coverage, you could end up owing money after an accident – even if you weren't responsible. The recommendations listed above will increase your coverage and protect you against damages that could cost you thousands of dollars. 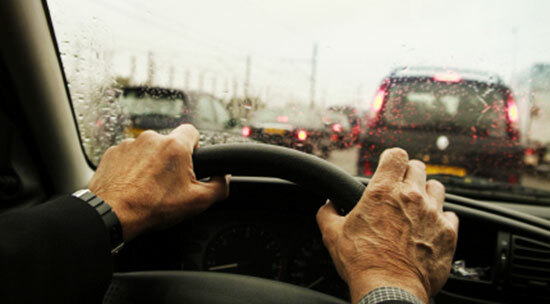 In the United States, over 6 million car accidents happen in a given year. It's best to cover yourself – and your loved ones – by purchasing the right coverage on your insurance policy. Still have questions? Join Snyder's Drivers today and set up a free auto insurance review. Members also receive a welcome kit, our monthly newsletter, and the opportunity to enter contests to win prizes.